Delivery costs depend on the weight / volume of the purchased product, the type of shipping (standard – express) and the country of destination. At any time you have the possibility to estimate the shipping costs for your order: just enter the products in the cart click on the shopping cart button and you visualize the shipping costs. according to the methods accepted by Paypal and in compliance with its conditions. Nonno Contadino Società Agricola guarantees that from the confirmation of the order, the goods will be shipped normally within 24/48 hours on working days. Shipping costs are charged to the customer and are clearly highlighted on the Site and in the order form. Their cost depends on the total weight of the individual order and the final destination of the goods. The products are shipped via MBE mail. Shipments are made from Monday to Thursday. order to preserve the freshness of the products;; shipments are made only from Monday to Wednesday in order to avoid that they remain in storage in the warehouses of couriers for long periods. Therefore, orders received on Thursday, Friday, Saturday and Sunday are processed on Monday. The customer must promptly provide with all the information or personal data necessary for the delivery of the order, Nonno Contadino Società Agricola, the courier, the customs or any other institution involved with the logistics of the order. In case of refusal of the goods by the customer or non-delivery due to other reasons (address and / or wrong phone number of the recipient, repeated absence of the recipient) Nonno Contadino Società Agricola will keep the full amount of the order. We inform European resident consumers that the European Commission has established an online platform that provides an alternative dispute resolution tool. This tool can be used by the European Consumer to resolve in a non-judicial manner any dispute related and/or deriving from contracts for the sale of goods and services stipulated online. Consequently, if you are a Consumer established in Europe, you can use this platform for the resolution of any dispute arising from the online contract stipulated on this website. The goods are delivered by the courier to the address provided by the customer. For the delivery of goods, the presence of a person at the address of the recipient indicated in the order is necessary. At the time of delivery of the goods by the Courier, the customer is required to check that the number of packages delivered corresponds to the order and that the package is intact or not altered. The delivery and operation service is guaranteed in the EU. The product that can be purchased from the cart is always available. 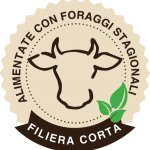 The goods are sent from our headquarters in San Bartolomeo – Reggio Emilia. In the event that the package and / or products are damaged or there is an inconsistency in the number of packages, the customer must indicate on the delivery note of the courier the words “ACCEPTED WITH RESERVE”. Once the Courier’s document has been signed, the Customer can not make any objection about the external characteristics of the package which has been delivered. Nonno Contadino Società Agricola points out that the prices of the products and packaging are inclusive of VAT. Gifts can be accompanied by a card. The choice of the card and the text takes place during the execution of the order. No price indication is included in the gifts. To obtain the invoice it is necessary to indicate your VAT number and company name at the time of registration. The invoice will be sent after the shipment of the goods.